The appearance of the fourth volume of Robert Caro’s The Years of Lyndon Johnson saga, titled The Passage of Power, is quite an event, as indicated by the fact that one of LBJ’s successors in the White House, Bill Clinton, penned a review of the book for the New York Times yesterday. 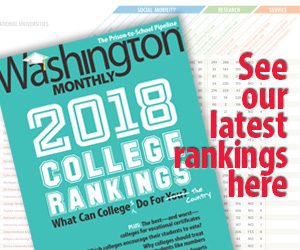 Today the Washington Monthly is pround to feature a review of The Passage of Power by Benjamin Dueholm that gives both the subject and its author the thorough consideration they deserve. He explains this volume in the context of Caro’s earlier books on LBJ and on Robert Moses, but also in the evolution of popular history and publishing. To put it simply, Dueholm thinks we probably won’t see anything quite like Caro’s meticulous, distinguished, but less than commercially sensational work, in the future. Dueholm also uses Caro’s portrait of LBJ to examine a more contemporary topic: frequent liberal assessments of Barack Obama as lacking his predecessor’s tenacity, powers of persuasion, or legislative skills–in a word, his “cunning.” Even if you’ve already snared a copy of Caro’s book and devoured it, or have read other reviews, you owe it to yourself to read Dueholm’s if only for that discussion. And if you haven’t read The Passage of Power, perhaps the review will convince you, like it has me, to make the investment in time and money, beginning this weekend. Enjoy.